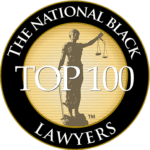 April 2016 – The Emanuel Firm, P.A. 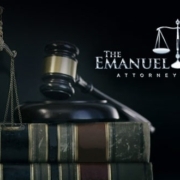 Trial attorney Charles Emanuel of the Orlando, Florida-based The Emanuel Firm, P.A. and Willie Gary of the Stuart, Florida-based law firm of Gary, Williams, Parenti, Watson & Gary, P.L.L.C., filed a multi-million dollar lawsuit on behalf of Jacksonville University football star, Jarrius Lindsey. Lindsey was a scholar-athlete recruited by Jacksonville University to play football from 2011 – 2013. During the spring 2012 football season, Lindsey participated in a scrimmage game, in which he sustained a concussion after a significant blow to the head by a teammate defender. Video of the collision shows Lindsey lying motionless on the field following the hit. He subsequently blacked out and suffered a life-threatening concussion. After the 2012 concussion, Lindsey was allowed to return to play and suffered multiple subsequent concussions. The lawsuit was recently filed in Duval County Circuit Court against Jacksonville University, the Jacksonville Sports Medicine Program and Doug Frye, the Head Certified Athletic Trainer for Jacksonville University Football.